Innovation and stiff competition motivate some organizations to emphasize design changes and cheap replacement rather than durability, but some companies still find ways to build dependability into their services and products. Electronic Design interviewed Jim O’Grady, head of Hewlett-Packard’s Financial Services’ Technology Value Solutions (TVS). TVS offers replacement options and helps customers by purchasing used equipment or auditing and selling the used equipment for a share of the proceeds. 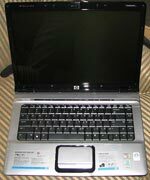 TVS also provides a documented means of erasing data from used equipment. O’Grady quoted statistics indicating any breach of data security could cost a data center 19 percent of its customers and cause another 40 percent of customers to consider terminating later. “We have tools that can eradicate data on desktop equipment as well as enterprise gear,” O’Grady said. Kimray, Inc. faces a different challenge as it manufactures control valves and related equipment for the oil and gas industry. “We do not make policies that force customers to buy new components when the old simply need repaired,” said Thomas A. Hill, Kimray’s vice-president of manufacturing. 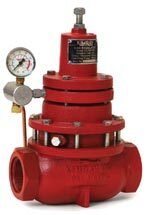 Kimray designs equipment to be serviced in place so that customers do not have to shut down a line, and a customer can still order a repair kit for a valve manufactured in 1948. Kimray products exceed minimum standards for flow paths, wear, and erosion, and Kimray designs new components with standard parts in order to ensure compatibility with existing systems. “We cannot always anticipate when electronic components will become obsolete, but we do whatever we can to keep new sensors or parts reverse compatible with whatever the customer already has,” Hill said. Whatever your industry or job description, evaluate how you and your organization can better serve the customers. Identify your customers’ challenges, and find better ways to meet them.